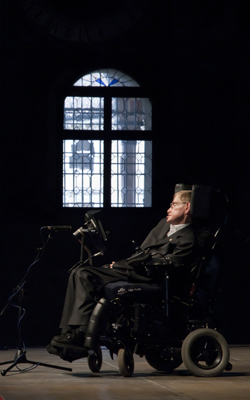 STEPHEN Hawking has made millions by using quantum theory in gambling, he has revealed. The physicist funds his deep thinking-time by using the multiple-universe theory to prove his horse or greyhound has come in first. Hawking said: It can be difficult to explain to the cashier at Wimbledon dog track that Mystic Nights in the 7:20 race both did and didn’t place by a nose. Hawking began doing physics-based gambling as a student,when he would bet people he could make three pints of Guinness disappear into an alternate reality in under a minute. He was banned from Las Vegas for quantum card counting, a method that proves that all possible cards have been dealt simultaneously meaning he has blackjack and the dealer has a bust hand of infinity. Hawking’s latest betting project employs string theory to show that all football teams are connected on a sub-atomic level, meaning the 1000-1 bet he has placed on Manchester United winning the league this year will be valid. KATE Bush has announced her first live shows for 35 years but warned fans she is not quite the same. The reclusive Wuthering Heights star said that while she had continued to ‘explore her creative landscape’ she had forgotten to moisturise since 1987. She added: “I’m an obsessive artist so I can spend months hunched over a piano in the dark, stopping only to wolf down a Monster Munch sandwich and a two litre bottle of home made wine. 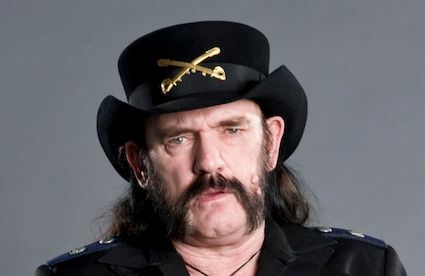 “The point is, I look like Lemmy now. It took a bit of getting used to, but now I prefer it.